BookReader marks another step towards virtual reality. 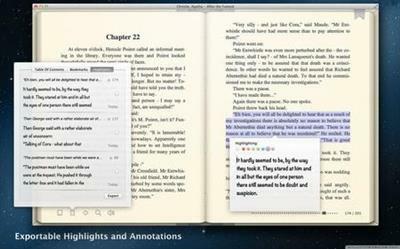 Your bookshelves on your Mac, very realistic reading from the screen. Moreover, you can fully customize your books, - change covers, fonts, colors, whatever you want to see all your books as you wish. BookReader now supports epub books with multimedia contents, es. html5 video, animations, interactive 3D contents, and all of that good stuff epub3 & html5 allows.